It’s been a while since I wrote a personal blog. Lately I’ve been focused more on creating guides and travel tips. So, I guess it’s time to be a bit more personal again. This time, I’m talking about things I have learned from travelling. We haven’t been in The Netherlands since we left to Australia in 2015. Returning home after this significant amount of time calls for some reflecting of what I’ve learned back over these past months. 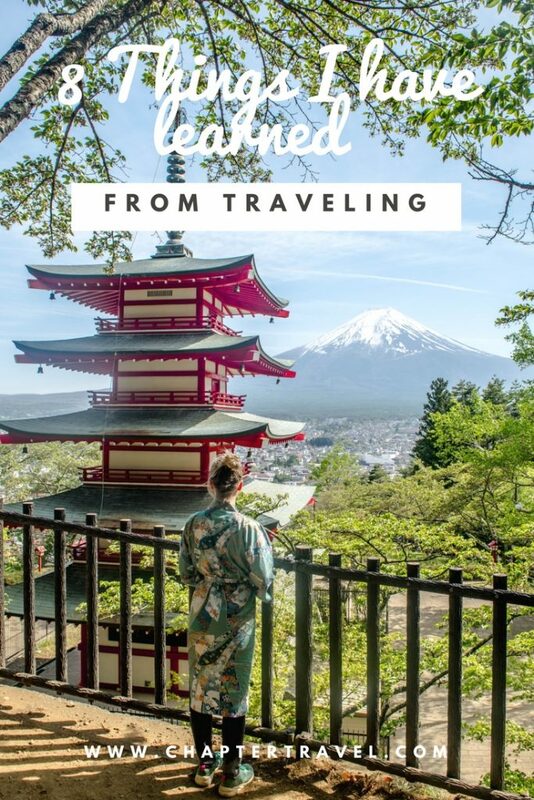 Personally, I think what you learn through travel is different for everyone. Because basically, everyone has a different experience. I’m quite interested what you have learned through travelling, whether it’s a short or long trip. Let me know in the comments! With this article I am by no means claiming I now know the secrets to life because of travelling – trust me I wish I did. And I think even if I had stayed at home, I would’ve learned a lot of (different) lessons. Life is all about growing and learning, right? Often you don’t even realize that you are learning something new. It’s easier to reflect back than realising at the time how much you have changed. Although I haven’t figured out life at all, unfortunately, travelling does give you a kind of clarity and perspective. Below are eight things I’ve learned from 18 months of travelling. You may be a big planner and have all these cool ideas for your travels (or plans for life in general). Well, it just doesn’t always go the way you want. Eventually Jeffrey and I just stopped planning and just went with the flow. Because when we did plan, it often didn’t go as we expected. I must add that it isn’t a bad thing to plan ahead a bit. Planning can be very useful, but just realise that it can all work out differently. Therefore, it really helps if your plans are a bit flexible. It’s human nature to feel the need to care about other people’s opinion. For instance, some might not dare to go travelling because their parents and friends don’t approve. And, there will always be people trying to bring you down and make you feel insecure. Stop trying to be someone everybody likes. Because first of all, this is really not possible. Second of all, you might end up not being happy at all. If you are a people pleaser, you can end up living a life you don’t even want. Trying to be a people’s pleaser won’t make yourself happy. This doesn’t mean you shouldn’t be kind or considerate. Of course, I’m not saying you should be selfish. But, you will be so much happier if you don’t try to get the approval of others and just do what you want in life. Find a middle ground, be selfish in some important issues in life, and be there for people when they need you most. But don’t let people take advantage of you. Before we went on this big trip, one of my close friends asked me if I didn’t mind missing out on so many things back at home. Things like certain festivals, activities with friends and such. Yes, I did miss out on a lot of things. The thing that bothered me most was missing out on my little nephew growing up, more so than the many parties I wasn’t attending during my absence. My nephew was only one year old when I left, and I missed his first steps, his first words and so much more. Because those are the things you can’t relive, or take back. If you decide not to travel because of the fear of missing out on all the great things with friends and family, you’ll miss out on the adventures you could’ve had while travelling. If it’s really your dream to travel, you might regret not pursuing it. And even though I’ve missed out on so many special moments, I’m happy to have had the moments during my travels and look forward to create new moments now I am home again. And now I’ve been away for so long, I tend to agree. Although I still have to reconnect with most of my friends, I already noticed via the ease of technology these days who I really still am connected with, and who kinda ghosted away. Friendship really is a two way street, so I’m definitely not blaming anyone. I’m also not saying it’s not possible to restart those friendships. Sometimes it’s just as simple as “out of sight, out of mind”. It can be harsh to lose people, but luckily travelling brings you a lot of unexpected friendships too. I noticed during this trip that I’ve made friends with people I probably wouldn’t even hang out with back at home. For instance, people that are quite a bit older than me, or people that just don’t run in the same kind of circles. Of course, also people from totally different countries with completely different backgrounds. Jeffrey and I made friendships with people from all over the world, and we couldn’t be more thankful for that. Although we might not see these friends in our daily life, we know we will always be welcome in their homes, and vice versa. I already wrote about this before, and will probably write more about it in the future – and I did, read our most popular article Not everybody is able to travel . You see so many people claiming that “everybody can travel” and that it’s only a matter of chasing your dreams, saving money and quitting your job. Well, one thing I’ve learned is that this only accounts to a small percentage of the world’s population. Think about people in North Korea who can’t even leave their country. Or people that hold a passport that have trouble getting a Visa in most countries, like citizens from Afghanistan. These are just two minor examples. Furthermore, besides these two examples, it really is a privilege for anybody to travel. Even though we have worked hard for this, and we definitely didn’t get anything handed to us, we are still very lucky that we had all the means to be able to do all this. Even people from developed countries have factors that limits them in chasing their dreams and go travel. Really, I’m not saying that if you are travelling or doing something else amazing, that you shouldn’t be proud. All I am saying is that we should’t forget that it really isn’t possible for everyone. We should be thankful and perhaps also think more about those people that don’t have the same possibilities. …even when you are travelling. This is something I’ve thought about a lot before I went. Will travelling make me happy? To be honest, I’m not even sure what being happy in life really means. Is there even one person in this world that is always happy? I think life consists out of moments of happiness, combined with moments of unhappiness. Without the bad, there is no good, so that way you can actually know that you are happy in a moment. Otherwise you just have the same feeling all the time. I wrote one of my first posts (which is now more up to date) a few days before we left for this big trip. In that post I wrote that travelling is often glamorised, and that I was wondering whether I would be happy because of travelling. There are so many articles that claim that travel makes you a happier person. Well, my personal experience is that travelling didn’t necessarily make me happier. Just like in my “regular” life, I had good moments, and bad moments. But I do think both of these feelings were intensified while travelling. I had lots of fleeting moments of pure happiness. But I also had some of my darkest moments in my life during this trip. Because when you travel, you really do get out of your comfort zone. Like I said in the beginning of this article, these lessons are based on personal experiences. 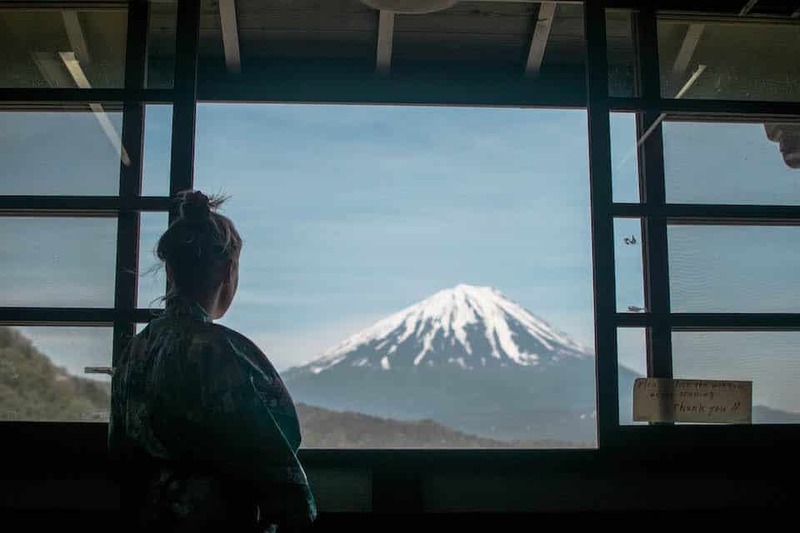 Although many articles claim that travelling makes you a happier person, be aware that this doesn’t mean that you will be on cloud nine throughout your trip. You will have bad moments too, you just have to get through these and embrace the happy moments. When you travel, you start to miss things from back home. I’ve noticed that for me the things I missed most were simple little things. Going to the grocery store. Having dinner with my family. Laughing over wines with my friends. Or just sitting in the passengers seat in the car, looking at familiar trees and buildings from my home town. When you travel, you get a new perspective. Although landing your dream job, getting married and other big moments in life can bring you happiness, it is only a rush. If you focus more on the little things in life, it can really bring you a bit more happiness. These are eight things I have learned from travelling. I can probably come up with a much, much longer list. But, these were the things that popped in my mind immediately as I was writing it, and I think that this means they are the most important lessons for me. There are still so many things to learn, and I can’t wait to see what life will bring me now I am home again. My addition: I’ve realised that we have to be more mindful of Planet Earth. All the plastic in the ocean and streets (especially in Asia). Or burning down rainforest to create plantations for products like palm oil. I try to be aware of how my (buying) behaviour influences these things, and I hope I will continue to do so at home. I love this post! And I agree with all of your points as well. One of the things that I’ve learned (about myself) while traveling is that I’m a lot stronger mentally than I thought I was. Through experiences, I’ve learned that I can think quickly and process situations fast to get myself into a better spot, find the correct train, locate a place to stay, etc. I was worried that I would stress too much when things went wrong or didn’t exactly go as I anticipated, but realized it was just the opposite. Sure, I had bad days, but when it came down to it, I realized that I know how to take care of myself. Crazy! 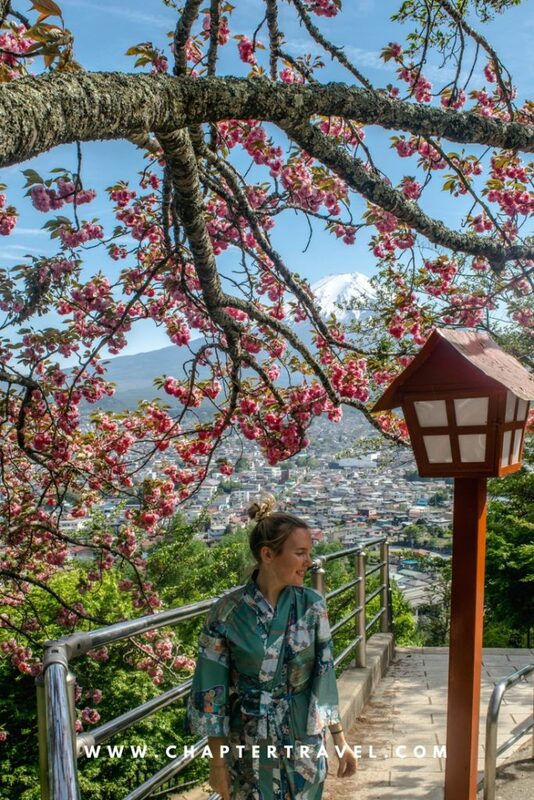 That photo with you and the cherry blossoms is stunning! I appreciate your reminder to be kind to Planet Earth as you travel. Love your post and it is so true and not only about traveling but about life in general, I think that people would be happier if they would understand (myself included) some of the things stated above and not chase happiness blindly. I have struggled for such a long time with the pleasing everyone part and it is so hard and consuming, but once you start realizing you just cannot do it and start accepting it, you will be just a little happier. Thank you for sharing this from your heart! Thanks Ingrid! It’s true, most of it applies to life in general. Thank you for your kind comment. Lovely post and thanks for sharing 🙂 after several long trips myself, I agree with all of them! About ‘you can’t be happy all the time whilst travelling’, yep, it’s funny because I found it very hard to accept when I wasn’t feeling happy whilst I was on the road (I was in some beautiful places but something wasn’t right), but it’s a great lesson. That happiness comes from within and wherever you are, life has it’s ups and downs. Welcome home! Thank you Lula! It is hard when you’re not feeling happy on the road, because you expect to feel that way. Loved your article too. Thanks for sharing. This is a really insightful post & I love that it breaks from the usual ‘travel makes you smarter and better than everyone else’ type posts. Well done! I found myself relating to many of these, especially finding out who your real friends are when you travel. Thank you Katie, so nice to hear! I totally agree with your points. Very well written post. I never traveled for more than 15 days at one go due to personal reasons, I come back home and then go again (At times the difference between 2 trips is few months and sometimes a couple of weeks). It also showed me, who feels genuinely happy for me when I am doing what I love to do (I mean traveling) and who gets snobby or talk behind my back for my travels. It increases the patience level and ability of handle new situation. Thank you Sapna! Yes, you can really tell who is genuinely your friend and who isn’t. And people who talk behind your back; you don’t need that negativity in your life! Everything you say rings true. My husband and I have been travelling for ten months and will be heading home soon. I look forward to it but also suspect we won’t be able to simply pick up where we left off. We will have changed in ways we might not even realize. I wonder how this will impact relationships. Thank you for your comment, Esther! It’s funny how everything is the same, yet it is different. Mooi geschreven en zo waar. Mijn toevoeging: ik ben me gaan realiseren dat we wel wat zuiniger op onze mooie aardbol mogen zijn. Al dat plastic in de oceaan en langs de straten (vooral in Azië). Of het afbranden van hele stukken regenwoud om hier plantages voor o.a. palmolie van te maken. Ik probeer me bewust te zijn van hoe mijn (koop)gedrag meewerkt aan deze dingen en hoop dat ik me hier thuis nog steeds bewust van blijf.